There are likely hundreds of summer camps near you! How are you going to make your camp stand out this year? 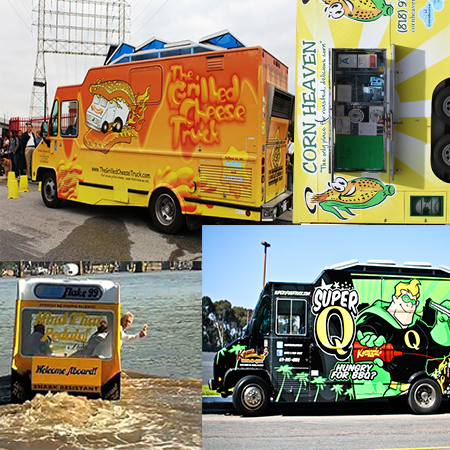 From food trucks to online registrations, I’ve compiled a list of five smart marketing ideas. Many mom bloggers have spent years networking and educating their local neighborhoods on the best things to do. Everything from best restaurants, to new summer camps to health and education, the list goes on. Locals rely on their suggestions and trust their options – they depend on them for the local scoop. 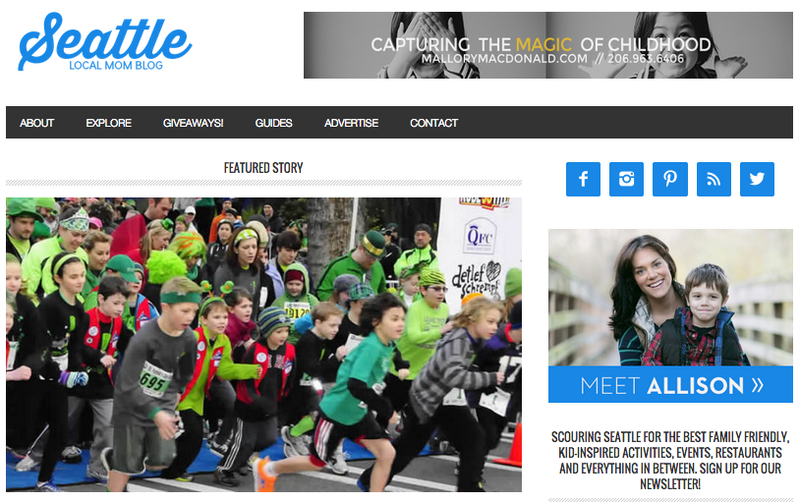 Head over to Google and type “mom blogs in Seattle” or “Seattle mom blogs” or something a little less specific like “summer camps in Seattle” to see who pops up on the first page. These are the sites and people you want to team up with. Make sure topics are relevant to your business. Read some of their work, and follow them on Twitter. Inspired by their work? Share it. Be genuine, and aim to build a relationship. Create a couple win-win scenarios. Create a promo code via PlaceFull and tell the blogger you will exclusively give their subscribes a discount on your camps this year. Parents get an exclusive deal, and the blogger looks like the hero. Lastly, if you have a blog, write a blog post on your camp offerings. Make sure to include camp dates/times, age requirements, pricing, testimonials, and most importantly, what makes your camp unique. According to Bloomberg, the average user spends ~40 minutes on Facebook per day (that’s 243 hours a year! ), which is more than the average time people spend with their pets. People are liking, commenting, and sharing content every second, and brands are all fighting for attention. The most valuable thing about Facebook ads is their targeting options – you can target by city, age, gender, or interests, and you only have to pay when someone clicks on your ad. This is an effective way to increase your awareness in the marketplace. But don’t just buy ads to gain awareness, make sure to update your existing community (people that already like your page). Post compelling updates about your summer camps – use pictures from last year, share inspiring stories, add videos, share positive Facebook reviews, and don’t forget to frequently share your PlaceFull listing. Here’s how I did it! 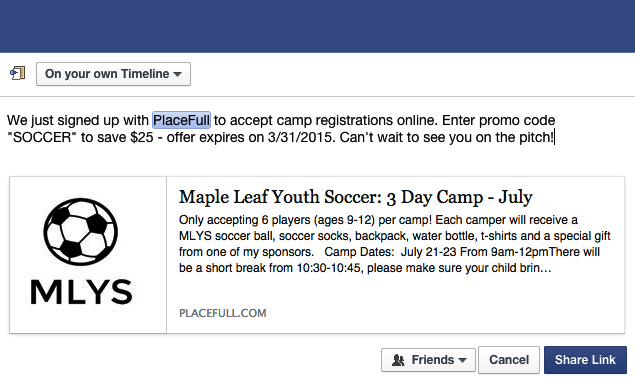 I personally use PlaceFull (note: I work for PlaceFull) to take registrations for my soccer camp. Below is an example of a recent post I shared on Facebook directly from my PlaceFull dashboard. This one is outside the kitchen! Many food trucks have a strong following and community on Facebook, especially the unique ones. They are popular for all sorts of events: kids birthday parties, onsite corporate events, summer camps, and even weddings. 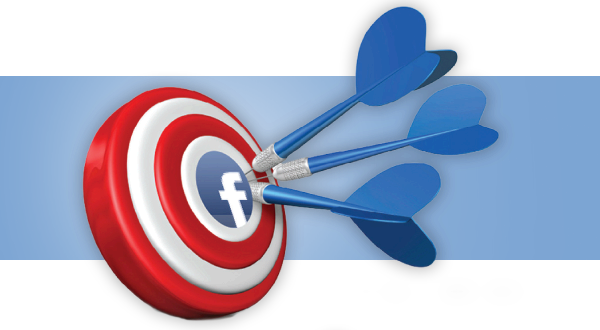 Partner and promote each other on Facebook, create flyers, and most importantly build a relationship to drive word of mouth. Ok, I’ll admit, this one can be kind of boring, but boring shouldn’t stop you from doing it. Email marketing is a very effective channel to acquire more signups, especially if you’ve built a large and relevant email list over time. I recommend using an email service provider like MailChimp, SendinBlue or Constant Contact to create attractive email templates. These services all make it really easy to design emails with simple drag and drop features. Lastly, don’t overuse email. I’m not saying you should only send two emails about your summer camps, but just think before you click. How will your customer perceive it? 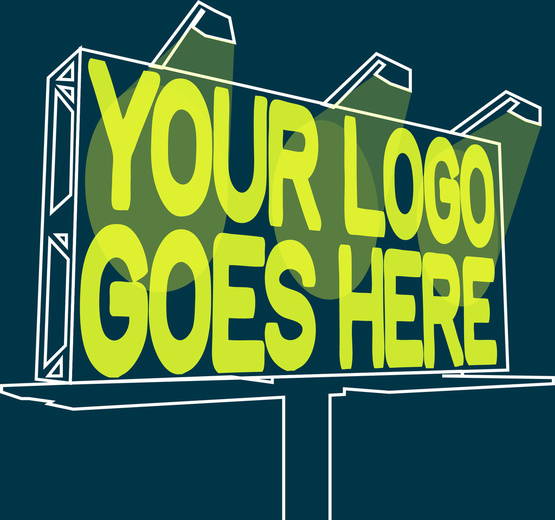 Get your brand and face out there! Again, this comes back to marketing where your target audience is. What local events do parents attend? See if you can set up a booth and sponsor a local event. Contribute to swag bags and make sure your logo gets added to offline collateral and in online promotions. If the sponsorship is too expensive, see if you can volunteer or help in some way at the event. How do you know if a customer is ready to buy? This is the million dollar question! Although marketers are creeping closer by monitoring certain behaviors, they can’t give you a concise answer like NOW. This is why integrated marketing is so important – hitting your customers from all angles. Since you can’t perfectly predict when a potential customer is ready to “buy,” it’s critical to adopt a consistent and repetitive marketing mix to stay top of mind so that when a potential customer is ready to buy, they think and pick you! 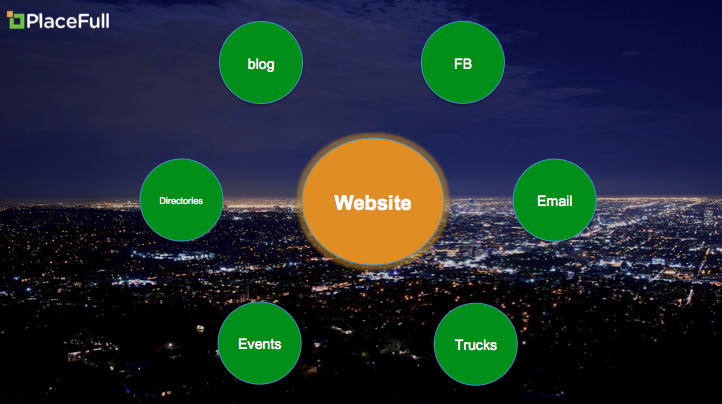 Your website is the hub – it’s the place that connects all your marketing channels. It should be simple, eye catching, and should provide an easy path for your potential customers to register for summer camps online. 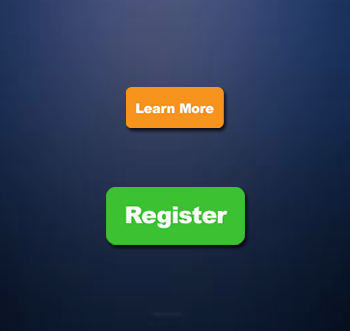 Are you making it easy for your customers to register for camps online on their own schedule? Skip the phone tag and see how PlaceFull can increase your camp revenue! Categories: Merchant "How To's", Merchant News | Tags: summer camps | Permalink.